You must be an heir or a beneficiary of the deceased to have standing to contest a will. An heir is someone who would inherit under state intestacy laws if the decedent had died without a will, which generally includes her spouse, children, parents and siblings. A beneficiary is someone she named in her will, even if only to disinherit. Determine if you have legitimate grounds to contest. You cannot do so simply because you don’t like the terms of the will and believe you should have received more. You will have to prove either that someone coerced or threatened the decedent into writing the will the way he did, leaving you less than a fair share, or that the will is a fake, forgery or otherwise fraudulent. Alternatively, you could also make a claim that the decedent wasn’t mentally competent at the time he made the will. File a petition objecting to the will with the Probate Court in the county in which the will has been entered into probate. This is usually the county where the decedent lived. Mail notice of your petition to all the decedent’s possible heirs, beneficiaries and anyone who might have an interest in the estate, such as the decedent’s creditors. You must then file a proof of mailing with the court attesting that you have done this. In some cases, the court might require you to publish notice in a newspaper as well. Exchange discovery with any attorneys, heirs or beneficiaries who file a response with the court in response to your petition. This means giving them copies of all documents, recordings and other evidence you plan to use at trial to prove your case. They must also give to you copies of all the evidence they plan to use to refute your claim. You will now have an idea of how strong your case is and what your chances are for winning the contest. 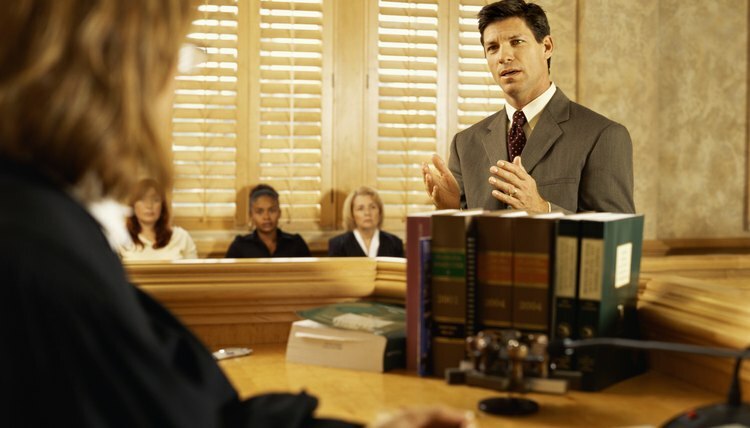 It is usually during this period when negotiations take place to try to settle the matter without going to trial. Proceed to trial if negotiations are unsuccessful. You can still reach a settlement with the other beneficiaries or heirs during the process of the trial, but a judge will have the final say if you do not. A Tennessee resident who dies without a will leaves behind an intestate estate. Tennessee intestate succession statutes determine how such an estate is divided among the descendants of the deceased, who is known as the decedent. Only property that is owned solely by the decedent is governed by intestate succession statutes. Property left in a trust or property that a decedent owns jointly with survivorship rights is not subject to intestate succession. To contest a will in Colorado, as in other states, you must be an "interested party," which means you must stand to gain from the will in some way. You must also have valid grounds upon which to contest the will. In Colorado, valid grounds to contest a will include lack of testamentary capacity, undue influence or failure to adhere to the state's prescribed formalities such as lack of witnesses, among other oversights. In some cases, a will may leave assets to someone who is no longer living. If this occurs, this provision in the will is said to have "lapsed." Under California law, there is a specific statute that deals with this. Section 21110 of the Probate Code is designed to mirror what the testator would probably have intended if he had foreseen the event when he made the will. Why Do People Contest Wills? Can I Contest a Will in Ohio?